Suzie Neas LMT, B.S can help! *Massages are available by appointment only. Please allow a lead time of at least 1-2 weeks. Appointments are available by request Monday through Thursday from 10am until 7pm, and on Fridays from 10am until 5pm. Suzie Neas LMT, B.S. is a Wisconsin Licensed Massage Therapist and a Member of the American Massage Therapy Association. 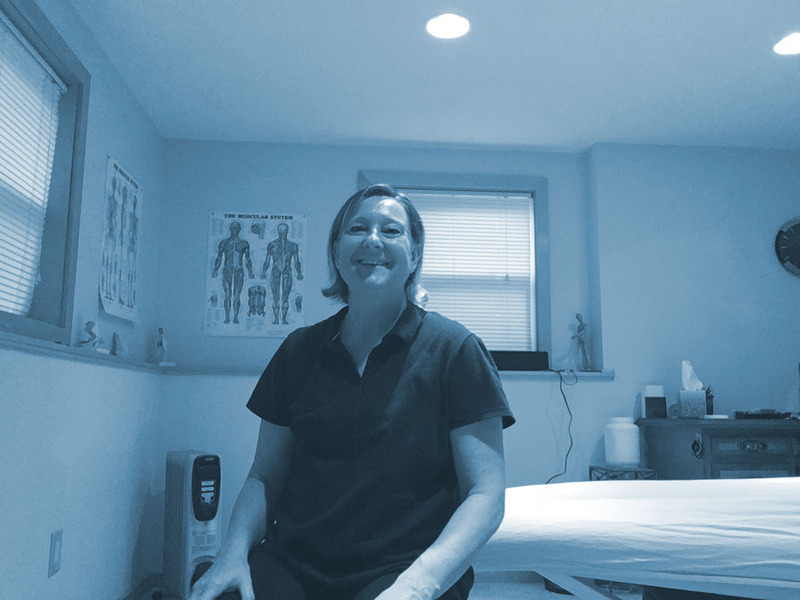 Over the past 24 years, Suzie has helped thousands of people afflicted by a wide range of injuries. Neuromuscular Therapy can help you figure out the likely cause of your non-traumatic neck pain, and help you recover from neck injuries too. The neck is particularly vulnerable to sports injuries because of the structure of the cervical spine, the weight of the skull, and the radical and abrupt increase in range of motion between the shoulders and C6-C7 vertebrae of the neck. Plantar fasciitis is a disorder of the connective tissue which supports the arch of the foot. It results in pain in the heel and bottom of the foot that is usually most severe with the first steps of the day or following a period of rest. 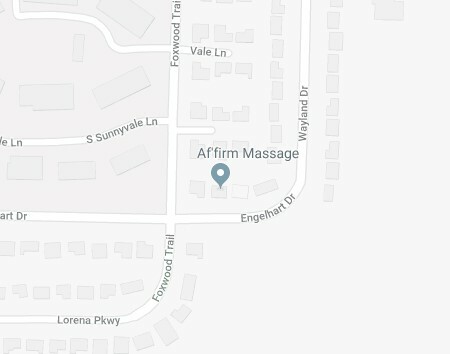 For many years Af’firm Massage was located at a facility in Monona. I have recently moved my services within my own home just a couple of miles south of Lake Monona. The entrance is on the lower level. It is a very professional setting with modern equipment and a restroom. I have known Suzie since 2000. She helped cure me of a hamstring problem that I had for several years. Because of her help, I went on to win the USA National Title and have the best year of my running career. We continued to work together for several years. She was more then a massage therapist, as her knowledge of sport and the body helped get me through many “speed bumps” of my life. It was always part of my prerace routine to see Suzie. I have known Suzie since high school when I used to run against her. She is a great athlete herself who went on to run amazing races in college for Ohio University. After college she moved back to Wisconsin and we reunited when she began massage school. She was somebody that was so important to my career in keeping me healthy. Without Suzie I would never have accomplish the things I did in my career. I had so many injuries that healed and became worse because of the scar tissue. Suzie was the only massage therapist that would do cross friction on me. It is incredible painful but it was what I needed to be able to run again. At an elite level of running this is something that is so important to be done and not many therapist can do the right technique. To me Suzie is so much more than a massage therapist, she is an amazing friend who has really made a difference in my life. She is compassionate and caring and if she is in your life you are truly blessed. For almost 6 months I had nagging pain left over from a severe ankle sprain that simply would not go away. Other sports therapy and rehab just wasn’t doing the trick. I’m just an amateur, but having pain in my ankle like this just wasn’t acceptable. A local friend of mine, who is a professional runner, finally recommended I go see Suzie to see if she could help. I had never had a deep tissue massage before; skeptical, I gave it a shot. I won’t lie, the massage was pretty painful! But within a couple of short weeks the ankle was back to feeling 100%! She definitely knows what she is doing, and she truly cared about seeing me become healthy again. I have since been back for other tune-ups and recovery deep tissue massage, all which I have benefited greatly from. Thank you so much Suzie! When I came to Suzie a few months back I was looking for someone specific to sports related injuries and in my case the sport is running. Since Suzie excels in running it was a perfect fit! She has not only helped get my body back to feeling good through her wonderful massages, but has also taking the time to work on my running form, give me great stretches, and also has me thinking about my everyday movements I do with my body. I am much more informed on my running and what I need to be doing to keep myself healthy. Suzie has also called me up on a few occasions just to see how I am feeling! I recently ran my first half marathon and I could not have done it without the help of Suzie! Thanks a ton Suzie!! Suzie Neas LMT, B.S. is a Wisconsin Licensed Massage Therapist and a Member of the American Massage Therapy Association. 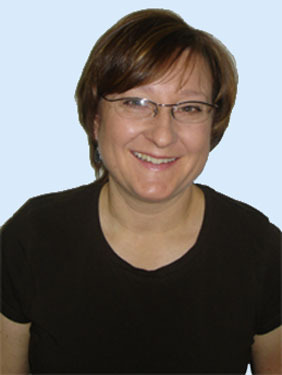 Her massage techniques involve therapeutic massage, sports-specific, deep tissue, and neuromuscular therapy (NMT). She is a 1994 graduate of the Madison Massage School and has her B.S. in Exercise Physiology from Ohio University. Following graduation, she founded Af’firm Massage Therapy and has helped over 2,000 people overcome their injuries since.